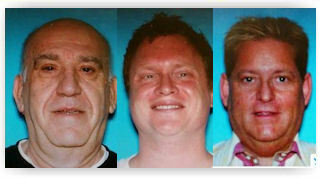 The owner of Smiles II go-go bar and five others charged after a 10-month investigation called "Operation Smiles" led by the Division of Criminal Justice Gangs & Organized Crime Bureau and the Roxbury Police Department. According to an Attorney General release, the probe revealed that, over a period of four years, the defendants conspired to steal more than $9 million by defrauding retailers, banks, credit card processing companies and credit card holders. The scheme involved the use of stolen credit cards and fraudulently obtained credit cards. The credit cards were used to purchase pre-paid gift cards issued by credit companies such as Master Card and Visa at various retail stores, including Target and Home Depot. The release said the gift cards were later "cashed in" through phony transactions at Smiles II, and the proceeds were allegedly divided between the individuals who supplied the cards, including Rodriguez and Turner, and Lipka and his partners at Smiles II. The probe also showed that individuals, including Rodriguez and Turner, also allegedly used stolen credit cards to buy high-priced merchandise at retail stores, particularly Home Depot. The merchandise was later returned for in-store credit that could be used later, or for in-store gift cards that could be exchanged for cash on the Internet. In other cases.